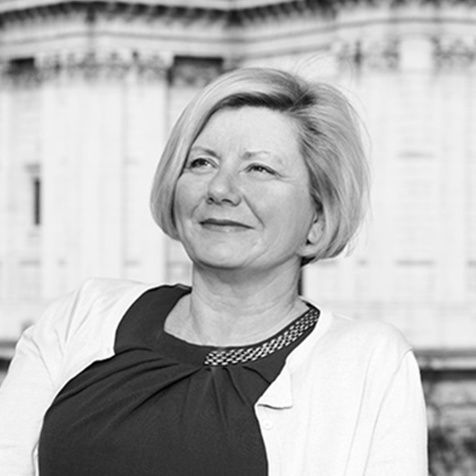 Suzanne is a family lawyer of 30 years' experience. During her career she has dealt with all sorts of family law disputes – starting off in a legal aid practice and now working on often high value complex cases. She deals with divorce and finances as well as cohabitation disputes, pre-nups and post-nups and children cases. she has a real interest in Alternative Dispute Resolution. She became an Accredited Mediator in 1997 and subsequently trained not only in the family model of mediation but the commercial model too. She has undertaken numerous mediations in all sorts of cases and situations and have taught mediation in England and Wales. She is also a Collaborative Lawyer and teaches collaborative law skills as well. More recently, she has been instrumental in developing Arbitration in Family Law and England and Wales and has devised and taught the Arbitration Course for both Children and Financial Arbitration. She has been a trainer since 1990 when I became involved in running the family law elective at the Oxford Institute of Legal Practice. Since then she has led training courses for lawyers all over the world dealing with both legal topics and skills and support. She is a family lawyer and trainer. I absolutely love creating courses and teaching. I try and think of innovative and creative ways of getting my message across and I hope my courses are fun! "Suzanne Kingston oversaw my training as a family arbitrator. The course was inspiring and intensely practical. The attendees included leading family lawyers from throughout the UK as well as a number of judges. All of us who had the privilege of attending the training were deeply impressed by Suzanne's enthusiasm and her ability to disseminate knowledge and information in a clear and exceptionally precise manner. The training was first rate, as a presenter and course facilitator Suzanne was absolutely excellent." "I have been trained by Suzanne Kingston both for the Resolution Collaborative Law Course and the IFLA Arbitration Course. Both were extremely well prepared and beautifully paced with just the right amount of delegate participation. Suzanne is a natural at these and her training skills are second to none. The other delegates thought so too. Suzanne also chaired a wide-ranging legal conference I attended in Jersey, facilitated a challenging strategy day for an international group of family lawyers in Sicily and co-organised a superb 3-day education programme for an international lawyers’ conference in India. Although I have seen her present at many other events, these three stand out and I cannot praise Suzanne highly enough for her ability to organise, engage, educate and even amuse."